Carols are on loop on the radio and stuck in our heads. Wreaths are being hung on shop windows and doors. And everyone seems to be a little cheerier than usual. The holiday season is here, and it’s time to bring the festivities to your business. You might be hanging decorations in your bakery, restaurant, or food product store, but what about the things you give to customers? One way to display your business’s celebration of the holidays is through festive wine bottle bags. After all, the holiday spirit comes from everyday items that are turned into something special. Add Cheer to Your Community with Wine Bottle Bags in Holiday Colors. Choose wine bottle bags in festive colors like bright red and winter forest green to celebrate the holidays and the season of giving. Your customers will feel extra special being handed these specialty bags and will probably want to reuse them to give gifts to their family and friends! 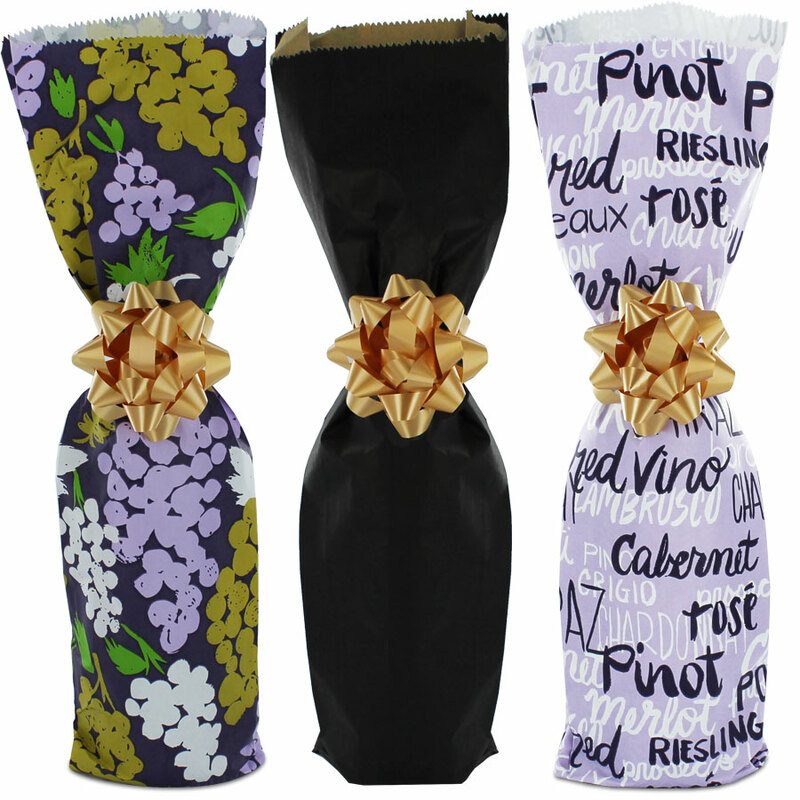 You can use these wine bottle bags to hand customers treats from the bakery, a bottle of wine from your collection, or a bottle of bubbly to celebrate good cheer. Stuff these bags like a stocking and your customers will be feeling the holiday spirit! Print Your Business’s Logo onto Wine Bottle Bags. Another way to make your mark this holiday season is to add your logo or business name to the outside of paper wine bottle bags. It’s a perfect way to get your name out there, display your business’s love of the holidays, and you can also include an extra special message thanking customers for their support this year. Customers love these little details and will appreciate the special attention. As you thank your loyal customers for their love this season, you can help yourself at the same time by marketing your business and encouraging more customers to find what they’re looking for with you. Customized wine bottle bags can hold one item, two items, and can come with sturdy handles for easy carrying through the snow. Give Thanks to Nature with Eco-Friendly Wine Bottle Bags. To truly get in touch with all that is good this season and to give thanks for all we are grateful for, we can’t forget to include Mother Nature. Use festive wine bottle bags that are recyclable, biodegradable, or compostable so you won’t be adding to the landfills. You also have the option of choosing reusable wine bottle bags so customers can take them home and continue to use them for all sorts of items over and over. It’s the gift that keeps on giving! Make like an elf and add some magic to the holiday season this year with the festive and eco-friendly wine bottle bags from MrTakeOutBags.com. Santa will be proud!